The Inner Metro Partnership will engage with the wider community to identify key priorities. The Inner Metro Partnership is an advisory group established by the Victorian Government. The Partnership is a way for local communities to engage directly with state and local governments, and advise the Victorian Government of the top priorities for jobs, services and infrastructure across the region. This advice will become part of the government’s key decision-making processes. The Inner Metro Partnership’s vision for the region is to harness and manage the opportunities growth provides in a way that supports a strong economy, a sustainable future and greater social inclusion. Following engagement with its community throughout 2018, the Partnership has developed its advice to the Victorian Government on the regional priorities for the Inner Metro region. The Partnership held its second annual Assembly on Thursday 16 August 2018 at the Richmond Football Club, Richmond, where it heard directly from the community about how to further progress priorities for the region. Watch the video below to see the 2018 Assembly in action, or read the 2018 Inner Metro Assembly Summary Report to see some of the feedback and ideas raised at the night's discussions. In May 2018, young people from Inner Metro shared their ideas for maintaining and improving the livability of their community at the first Metropolitan Partnerships Youth Forum. To find out what participants had to say about what's important as a young person living, working and studying in Melbourne read the 2018 Metropolitan Partnerships Youth Forum report and watch some of the highlights from the Inner Metro breakout discussions. On 13 September 2017, 143 community members, business representatives, councillors and mayors came together to help determine the key priorities for the Inner Metro Region. The outcomes of the Assembly have been used by the Partnership to inform its advice to government on priorities for Melbourne's Inner Metro region. The Inner Metro Metropolitan Region of Melbourne extends from the Flemington Racecourse and Kensington to the coastline of Port Phillip Bay at Port Melbourne and St Kilda, taking in the inner city suburbs of Collingwood and Richmond. The Inner Metro Metropolitan Region is the urban centre of Melbourne, home to the central business district (CBD), world-class sporting facilities, cultural heritage locations, and dense residential and commercial precincts. 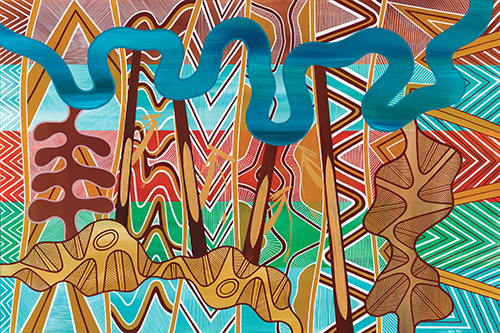 The Inner Metro Metropolitan Region is the traditional home of the Wurundjeri and Bunurong people of the Kulin nation. Read more about the Inner Metro Metropolitan Region. The Partnerships are generally made up of 15 members from across each of the six metropolitan regions. Membership includes eight community and business representatives with varied backgrounds, experiences and networks, the CEO of each of local government in that region, a Deputy Secretary from the Victorian State Government, and a representative from the Local Government Areas.